The next Sims 4 patch will add three new freelancer career paths, including artist, programmer, and writer. Maxis will add a new freelancing career, as well as new furnishings and outfits, as part of a free update to The Sims 4 later this month. 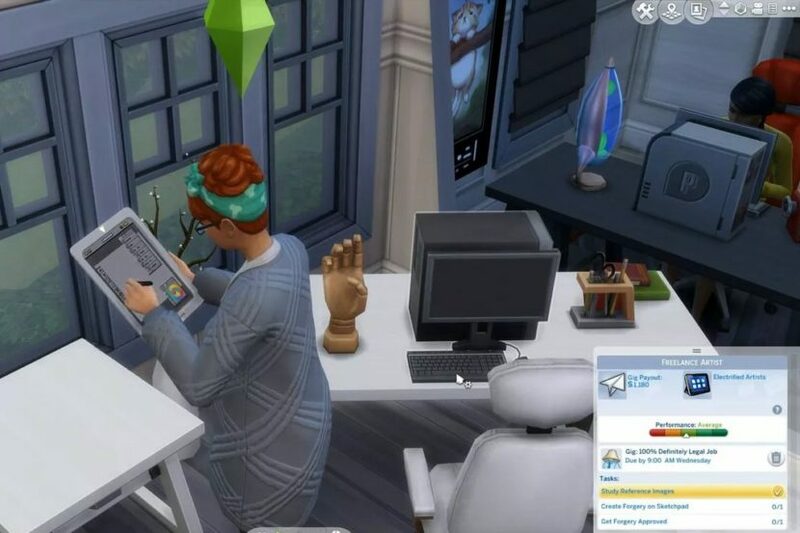 The new freelancing career will allow sims to work from home, and pick up gigs that they have to finish before a deadline. Sims can be a writer, artist, or programmer. Similar to the acting career in the Get Famous expansion pack, sims will sign with an agency that will help them get assignments. From there, they can pick which task they want to complete. Freelancer sims will not receive promotions, but will get pay increases as they complete more and more work. They also don’t have to accept gigs if they need a week off, or can opt-in to more tasks if they need the simoleons. As someone who works as a freelancer, I’m looking forward to this update.